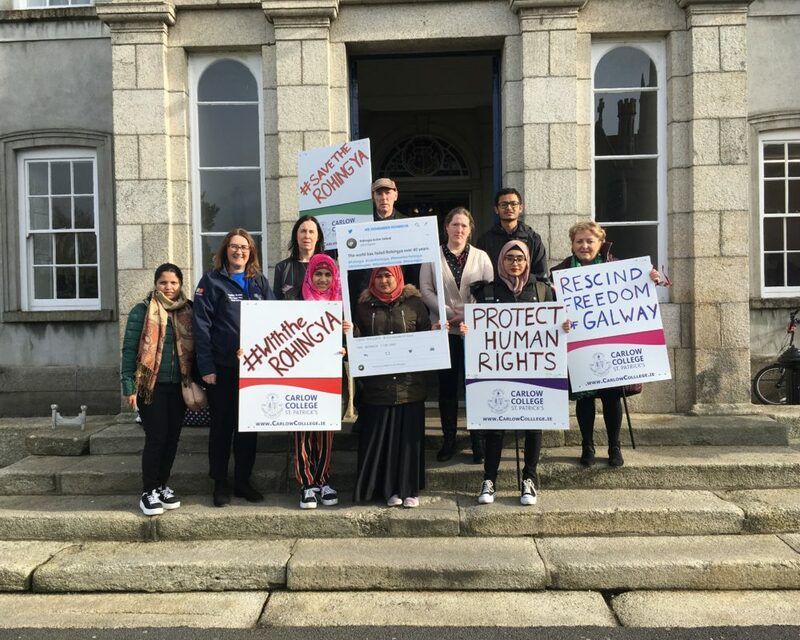 Students and staff from Carlow College with members of the Rohingya Community and Rohingya Action Ireland travelled to Galway on Monday February 11th to urge Galway City Councillors to vote to revoke the Freedom of Galway from Aung San Suu Kyi. 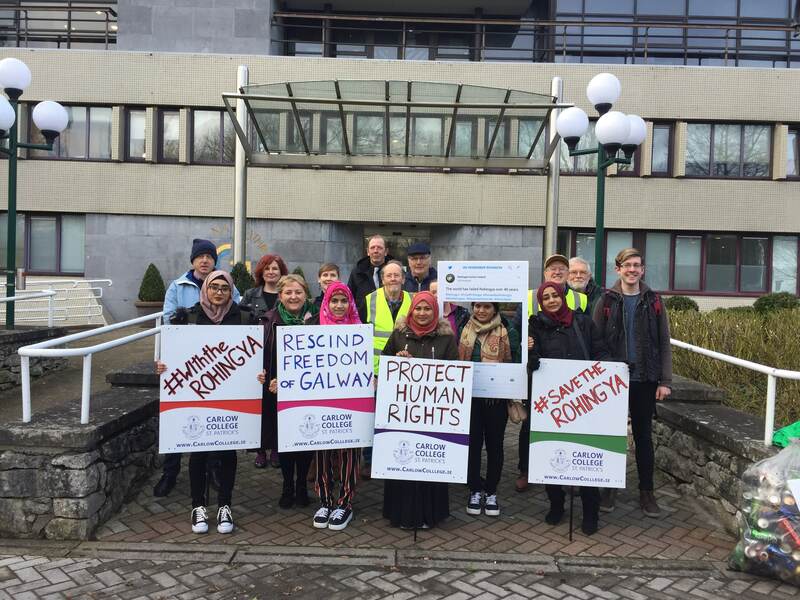 The group have been lobbying Galway City Council for two years to have the honour removed. The honour was bestowed on Aung San Suu Kyi in 2005. 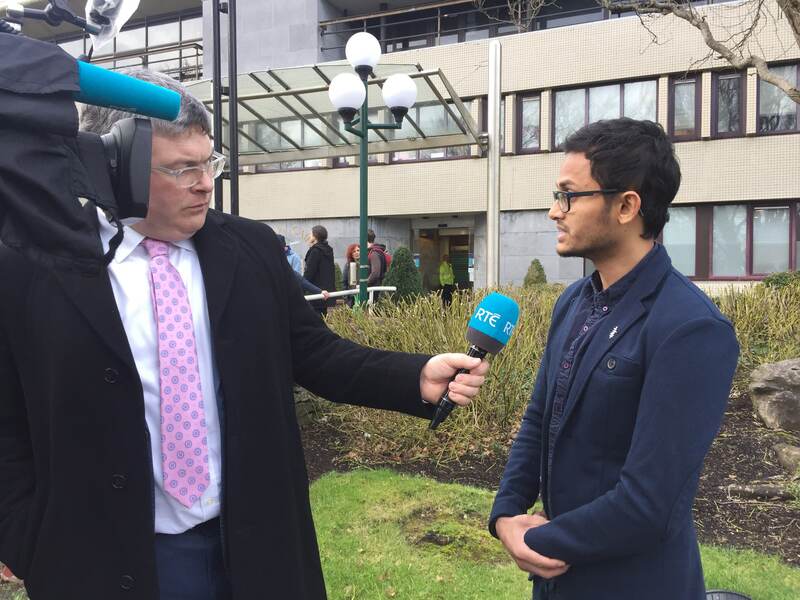 At the time Ms Suu Kyi was under house arrest in Myanmar and was outspoken about minority rights and Human Rights Abuses. Now, in 2019, the situation has changed dramatically. Since entering politics and forming her government after the landslide victory in 2015, she has rescinded on her promises. 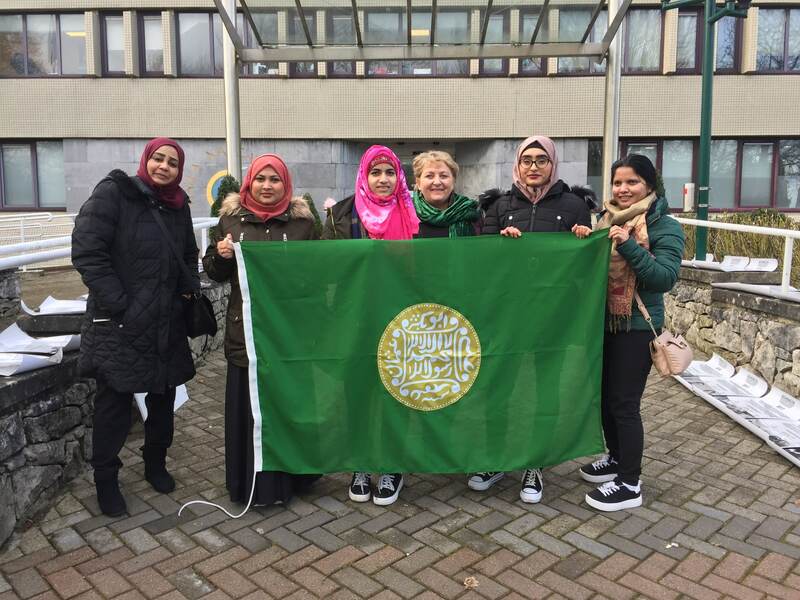 Not only that, she had now become the perpetrator of horrendous abuses directed at the Rohingya people. 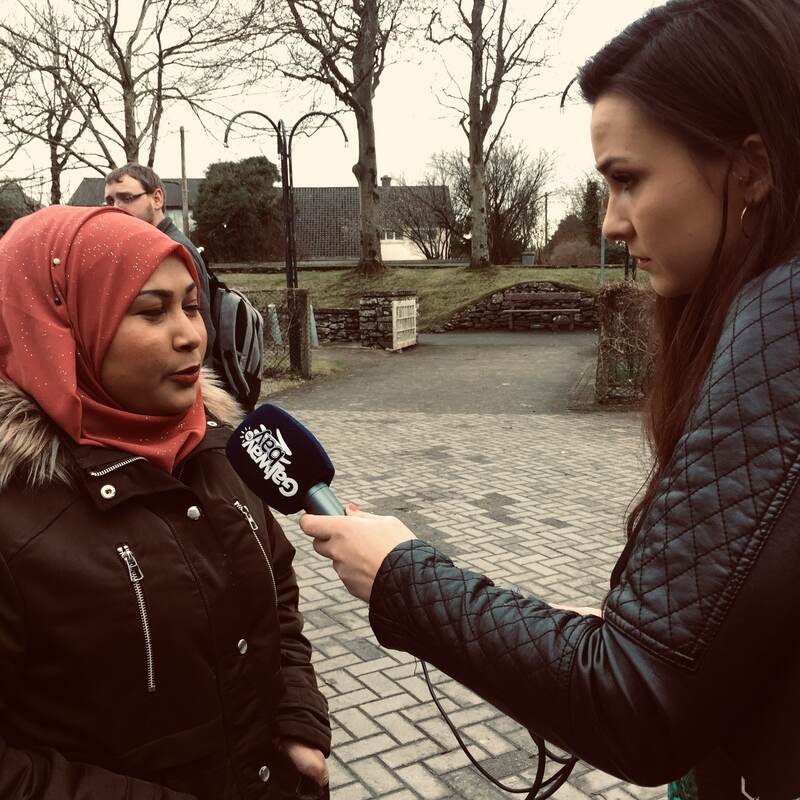 When questioned about the human rights abuses in Myanmar she claims that she is now a politician and not a human rights defender.